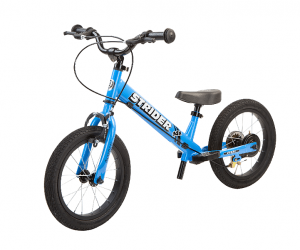 The Strider 12 Sport Balance Bike 2018 Model is a well designed and constructed balance bike with a few added tweaks and tonnes of accessories, a perfect fit for your budding biker from 18 months to 5 years old. We still have a limited number of Strider 12 Sport 2017 in Red, Blue and Black if you’d like a deal. The only difference is that they have the standard footrest. 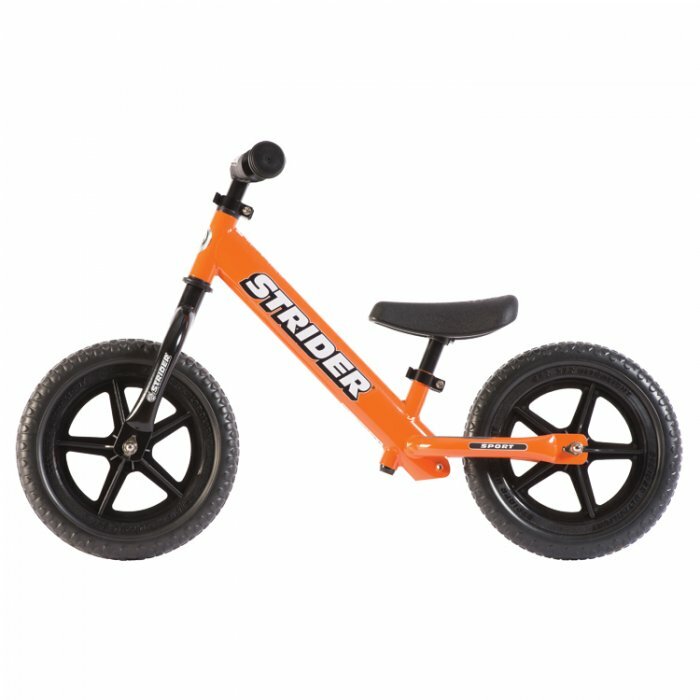 The STRIDER 12 Sport Balance Bike 2018 Model has had a small facelift. They’ve listened to customer feedback and the balance bike now comes with a slightly altered saddle shape and performance footrests just like in the Pro model. All the other great features are unchanged which makes it the perfect choice for kids aged from 18 months to 5 years old. Unique,Patented frame-integrated footrests are properly positioned directly below the saddle for natural bike balance. This position also fosters the advanced ability to stand while coasting. Comes in Red, Yellow, Green, Orange, Blue, Black and Pink colours.